The next arcade game with a nice title troll in the lead role, dedicated to children and teenagers. The player helps the main character to lead the boat to the blue desert on which the crown of power rests. HUGO: CannonCruise is a thrilling action adventure game where you sail with Hugo over the treacherous seas beyond the Triggi Troll Forest on a specially designed ship equipped with trigger-happy cannon! With wild weather and radical waves surrounding you, and a wacky range of weapons to help you, get ready to battle against pirate ships, roman destroyers and a fleet of catapult towers that stand in your way. Defeating them all and finding the secrets of Iduna’s Cave crowns you liberator of the Troll world! 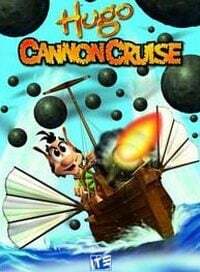 Guaranteeing loads of hits and sinking ships, get ready for some cannon-blasting action!